Join us in mourning the loss of this BMW M2. It’s become a cliche that whenever a crash occurs at a car meet a Mustang must be involved. 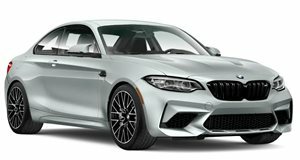 But over in Scotland a BMW M2, arguably the best performance car BMW has produced since the E46 M3, met its maker in a nasty-looking crash near a sports car and supercar meet in Aberdeenshire when the 22-year old driver lost control and smacked into a tree at high speed. Chilling photos taken from the scene shared on Pistonheads show the mangled remains of the M2, and it’s not a pretty sight. If you're a fan of the M2, you might want to look away. The damage is so extensive that the car is completely unrecognizable, and the impact was so severe that it dislodged a tree which blocked the road. According to the BBC, both the driver and a 20-year old female passenger had to be cut free from the wreckage and suffered serious injuries. Both were taken to the Aberdeen Royal Infirmary hospital where they will hopefully make a swift recovery. Videos taken from the event show the M2 doing doughnuts in front of a crowd on public roads before it was reduced to a mangled wreck. Footage posted on Facebook also shows the moment of the crash which happens off-screen, where it’s clear that the M2 was being driven dangerously fast on a stretch of road filled with bystanders. Sadly, such a severe crash was inevitable in this case, all for the sake of showing off to spectators who were lucky that the driver didn’t lose control a few seconds earlier.